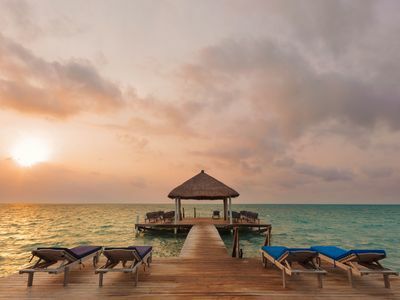 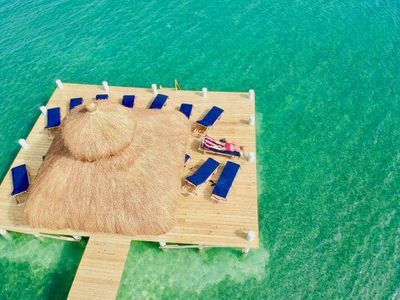 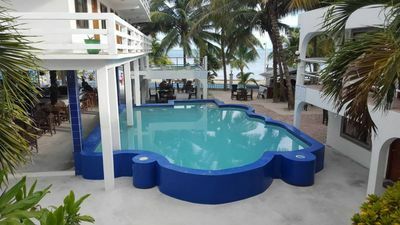 THE PERFECT PLACE FOR YOUR BELIZE ADVENTURE! 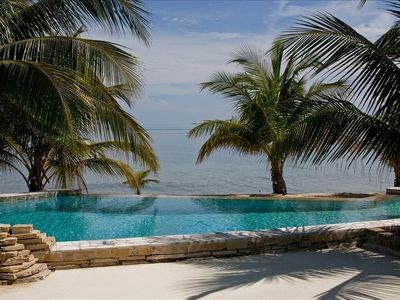 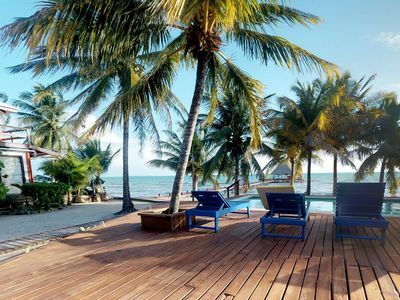 Beachfront Casa Grande is the ideal vacation home for all your Belize fun. 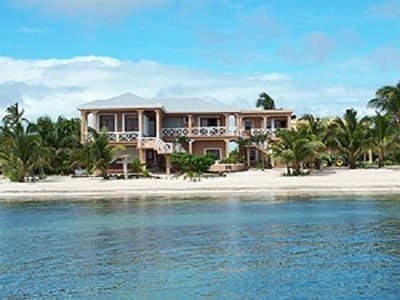 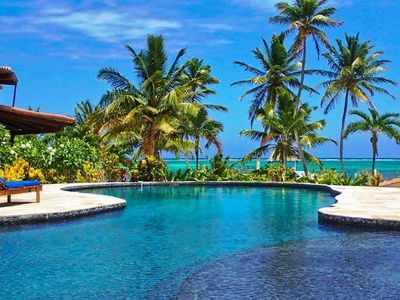 Located on a long, private stretch of beach (9.5 Miles North), this beautiful home is the perfect place to spend your entire vacation. 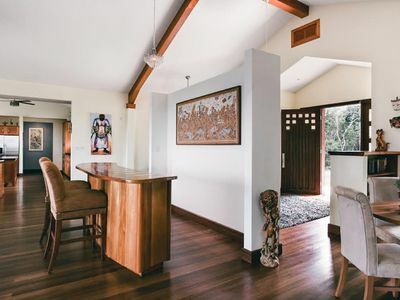 This four-bedroom plus home is secluded enough for those who want to get away from it all and still ideal for those who crave excitement. 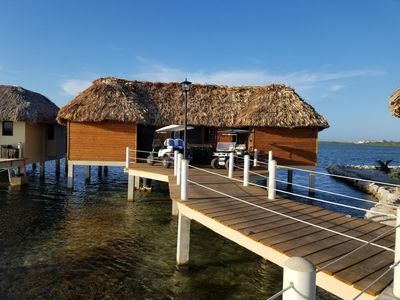 For those looking to play, our resort manager can guide you on any outdoor adventure Belize has to offer. 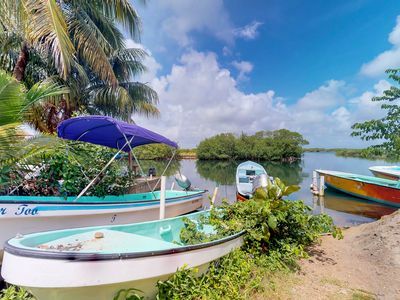 Whether it is fishing, snorkeling, diving, or just relaxing on the beach, all the fun is right outside your front door. 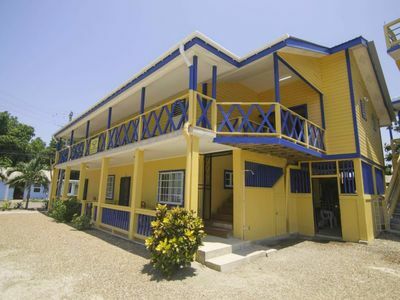 Beachfront Casa Grande has four plus bedrooms, including two master suites located on the second floor and two additional bedrooms on the first floor. 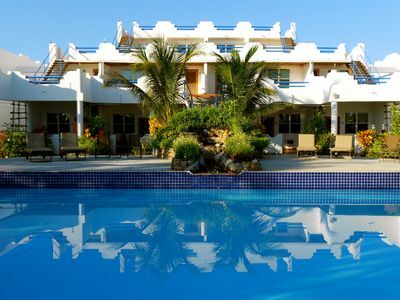 All bedrooms have private entrances and private bathrooms. 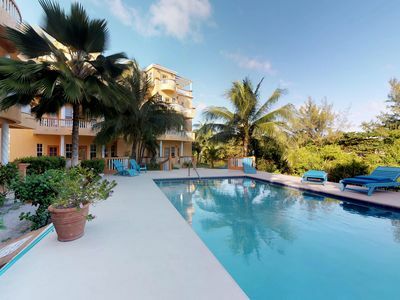 Additionally, every bedroom has a direct view of the majestic Caribbean Sea. 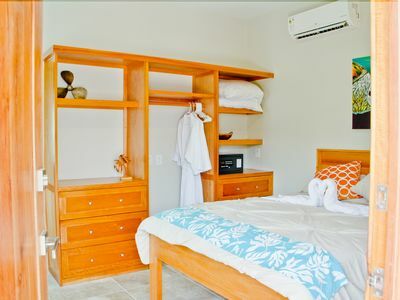 Beachfront Casa Grande's first upstairs suite includes a king-sized bed, large walk-in shower, and a closet. 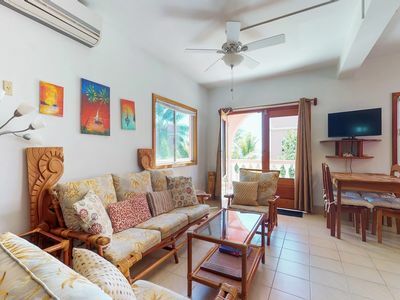 The second upstairs suite is perfect for a family or for those who just want to stretch out. 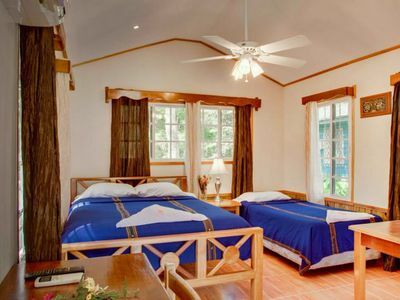 This suite includes a king-sized bed, a large shower/bath, and a small connected room with twin bunked beds. 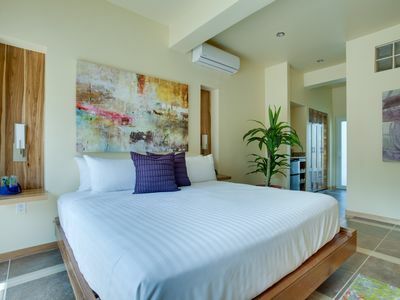 Additionally, the first downstairs bedroom includes full-sized bunked beds and a twin bed, and the second downstairs bedroom has a queen-sized bed. 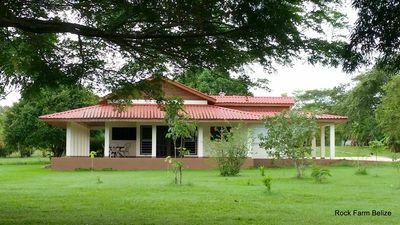 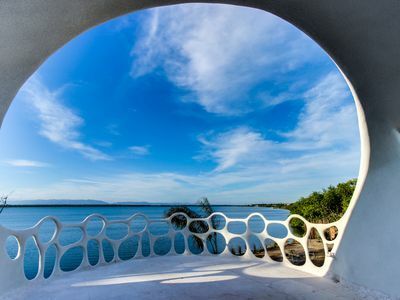 Our management company will arrange to pick you up at the airport and transport you to this ideal vacation home. 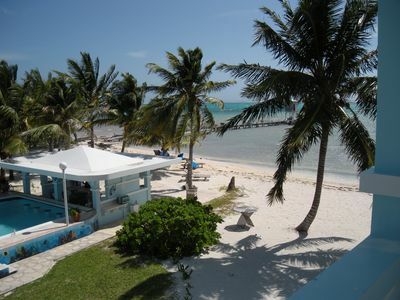 Management can also arrange all of your island adventures and a private chef upon request. 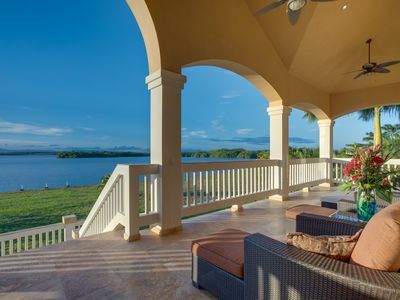 Lakefront villa w/ lake views a fishing dock, pool and a covered balcony!